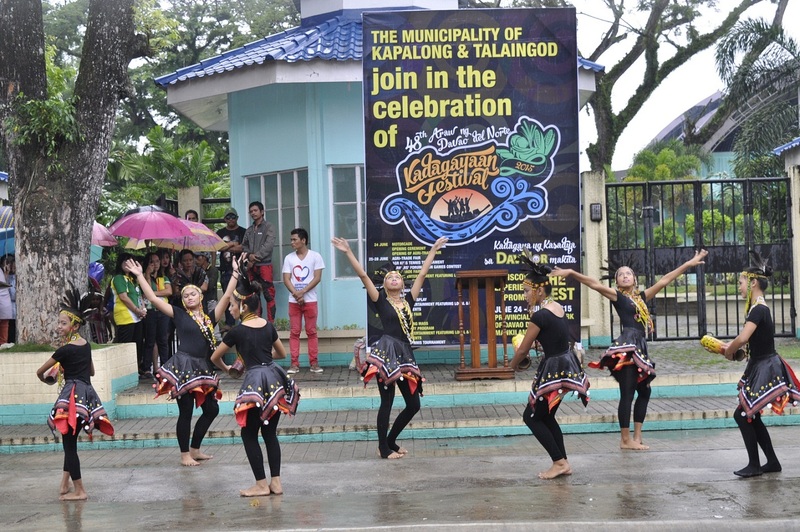 Davao del Norte, June 25, 2015 – The Kadagayaan Festival 2015 kicked off on Wednesday building up the peoples involvement and sense of ownership of the celebration. Despite intermittent rains, Governor Rodolfo del Rosario led local officials in the long motorcade around the provincial circumferential road signaling the start of the weeklong annual festivity. The harvest festival, which derived its name from the common parlance “dagaya” that means abundance, is in celebration of the 48th Founding Anniversary of Davao del Norte on July 1. The Kadagayaan convoy, numbering to over a hundred vehicles, started off early in Panabo City then briefly passed over the municipalities of Carmen, Sto. 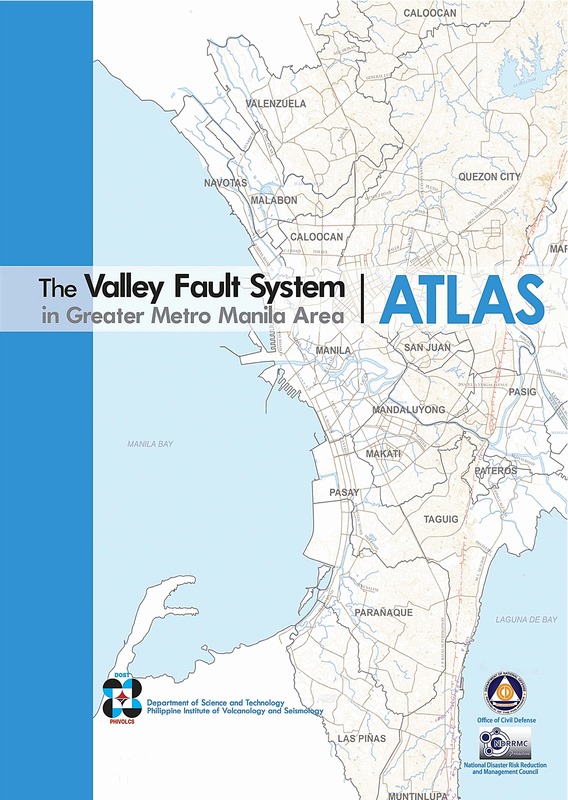 Tomas, Kapalong and Asuncion, before winding up in the Capital City of Tagum. The mayors assured their all-out support and commitment to the various activities, as they hailed the governor for including the localities in the itinerary of the opening salvo. They are one in saying that the governor’s gesture inspired better and wider participation among the LGUs. “The governor’s gesture of including us in the itinerary of the Kadagayaan motorcade has fostered among us a sense of ownership of the festival,” said Carmen Mayor Marcelino Perandos. 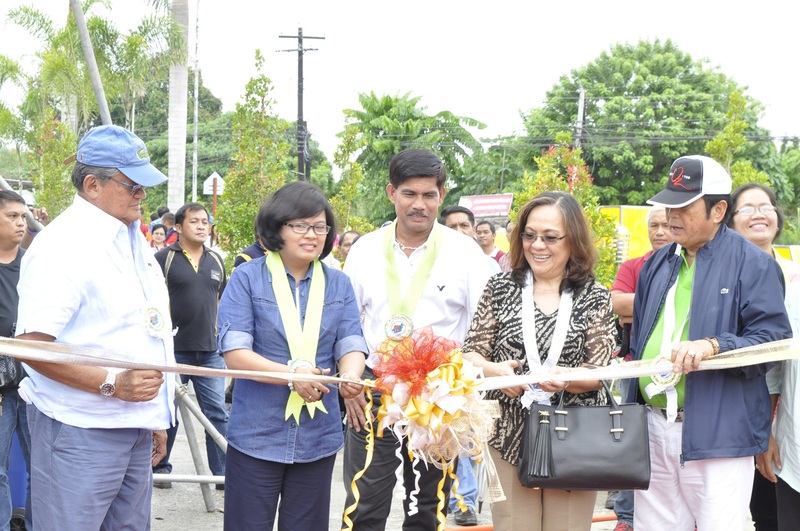 Del Rosario proceeded to launch the Agri-Aqua Industry Trade Fair at the Capitol Plaza, which was graced by Trade Undersecretary Zenaida Maglaya. 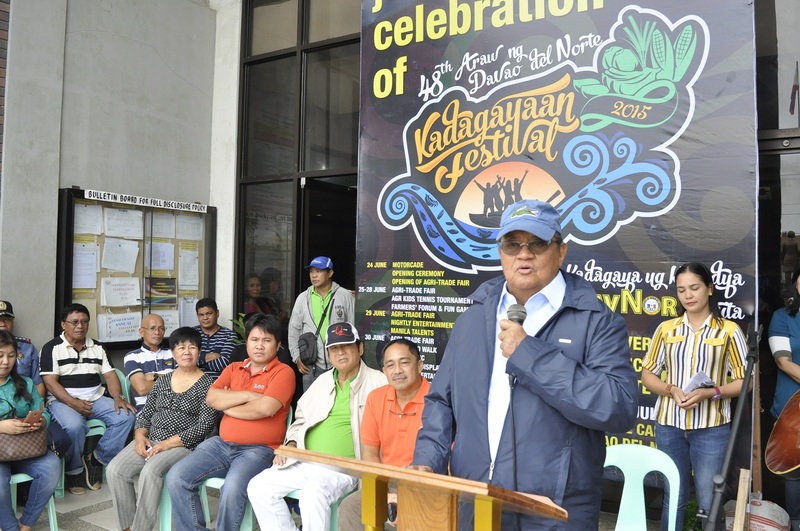 With the theme, “Kadagaya ug Kasadya sa DavNor Makita (Bountifulness and Festivity Abound in DavNor), the governor said the event fetes the best of what Davao del Norte can offer in terms of the richness of its land and the wealth of the Dabaonon’s culture, creativity, resources, products and destinations. “We come together as one progressive community to give special thanks to God for the overabundance around us,” he said. According to him, among the many reasons that call for big celebration is the huge success of the province’s hosting of the ‘best-ever’ Palarong Pambansa 2015 last May. Among the other highlights of the weeklong event include famers’ forums, symposium on ASEAN Integration, basketball games, AGR KIDS tennis tournament, variety shows, nightly entertainment, Alay Davao charity parade and the Anniversary program.